The Cleveland Indians boasted one of the best starting rotations in 2015, but they were held back by an inferior offense. Will 2016 bring some more pop to Cleveland? The Indians finished about where I thought they would finish last season. The difference was I predicted the rest of the division to be a little stronger than they ended up being. A team managed by Terry Francona will always compete, and the 2015 Cleveland Indians were no exception. This was a very quiet offseason for the Indians. Very few players left, with the most notable being the underwhelming Michael Bourn. Added to the roster were some solid veterans like Mike Napoli and Juan Uribe. Both are good moves, but not game changers. The biggest revelation of 2015 was the emergence of Francisco Lindor. 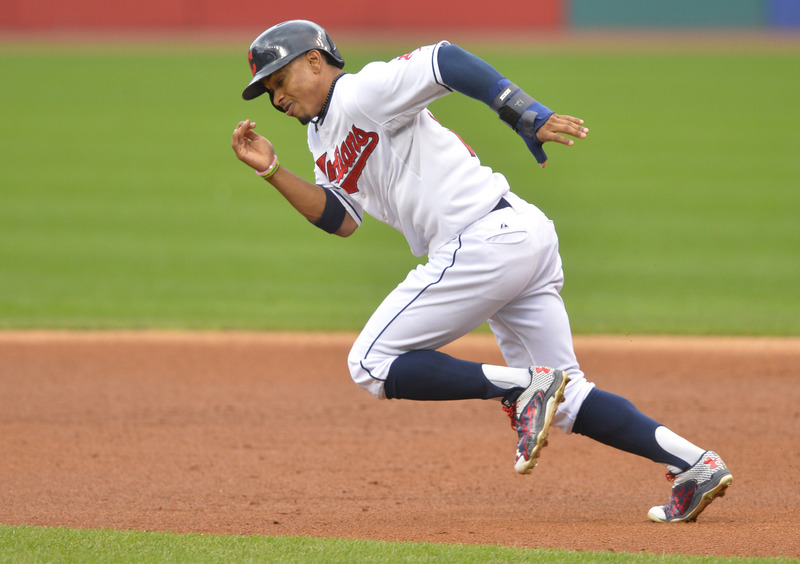 Of the big name shortstops to make their debuts in 2015, Lindor was not the first name to pop into your head. Names like Correa and Seager come to mind first. However, Lindor had the best season with surprising power and consistency at the plate. 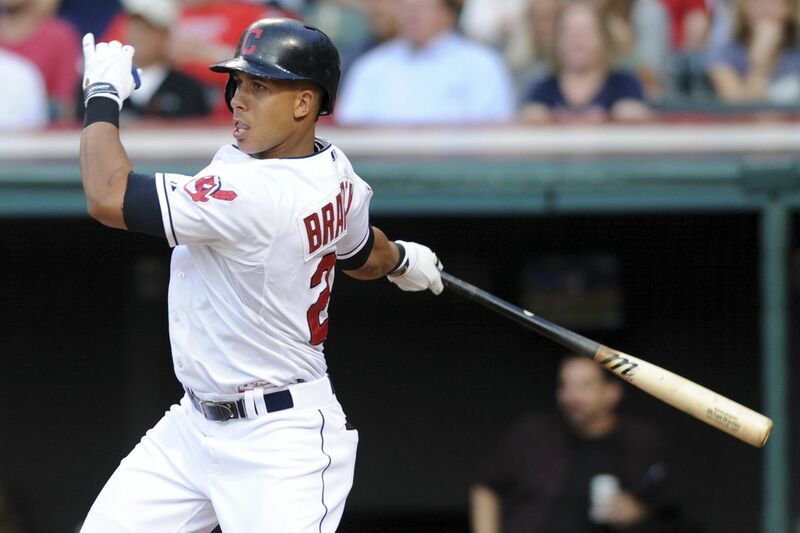 Now, the Indians are counting on him to be the offensive superstar that can anchor their lineup for years to come. Was last year an anomaly or a sign of things to come? Like I said, the starting rotation is the strength of the team. Corey Kluber is obviously the ace, however Carlos Carrasco and Danny Salazar made quite the 1-2-3 punch at the top of the rotation. Carrasco is the Indians' most important pitcher more because of the rumors than his on-field performance. Carrasco is a very wanted commodity for any contender looking for a starting pitcher. With the depth the Indians have in their rotation, it will be interesting if or when Carrasco gets traded for the bat that will round out their lineup and make them a legitimate contender. 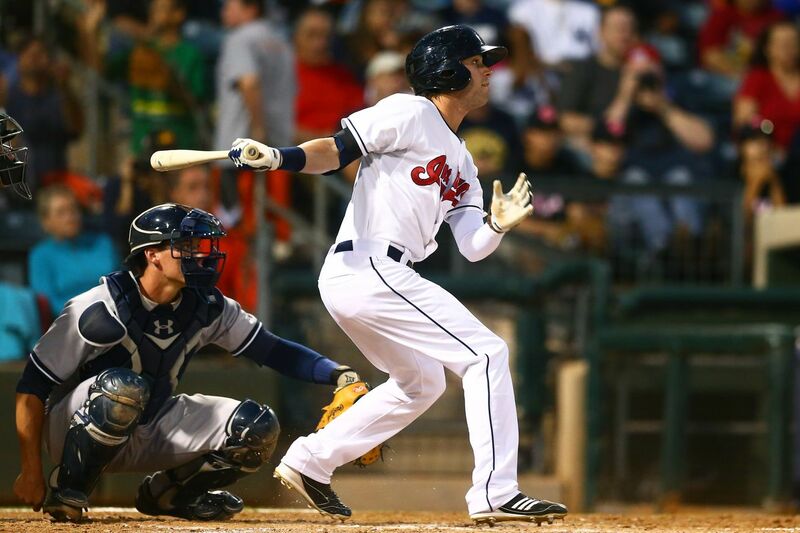 Tyler Naquin is not the highest rated prospect in the Indians' system, however he is most likely to make an impact on the Indian's 2016 season. With the 80 game suspension handed down to Abraham Almonte, Naquin has an opportunity to start in centerfield on Opening Day. If he plays well, he could carve out a spot for himself moving forward. A lot of people like the Indians to be major contenders in 2016. I don't see it. They still have major question marks in their offense, especially since Michael Brantley and Lonnie Chisenhall are starting the season on the DL. With Almonte suspended, none of the original projected starting outfielders will start the season. There is no way Lindor will repeat his lofty production from last season. This team will compete for sure, but will most likely end up around .500 yet again. Trevor Bauer will need Tommy John surgery by the end of the season. One of the better young pitchers the Indians have is Trevor Bauer. He has been notorious for this unorthodox warmups and delivery, as well as his refusal to change much of what he does. Recently, it was announced that he will start the season in the bullpen after a poor Spring. He is walking a very dangerous path that seems destined for a major arm injury. The Seattle Mariners greatly underwhelmed on high expectations in 2015 that led to a complete overhaul on the field, in the dugout, and in the front office. 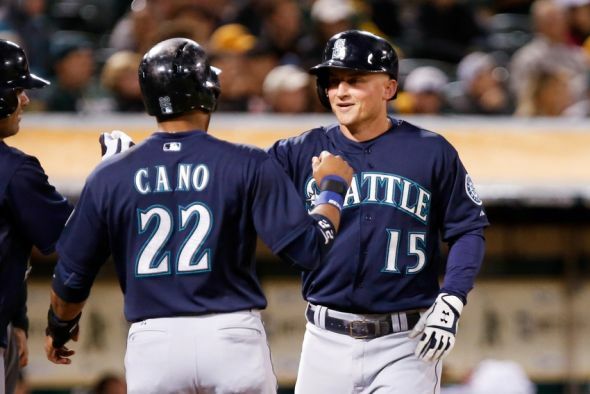 Will all the changes made lead to more success for the M's in 2016? Many people were picking the Mariners to finally make a World Series in 2015. A number of injuries and disappointing seasons led to an all-around disappointing season. The question was did they disappoint in 2015 or over-perform in 2014 so much that it led to unrealistic expectations? Either way, 2015 did not go as planned and led to a mid-season firing of their general manager. The Mariners were the most active team in baseball this offseason. This all started right at the end of the 2015 season when Jerry DiPoto was hired as the new general manager. Next came a series of moves that changed almost half of the Mariners' 40 man roster. Out went players like Logan Morrison, Brad Miller, and almost the entire bullpen. In came Nori Aoki, Leonys Martin, Adam Lind, Chris Iannetta, Steve Cishek, Joaquin Benoit, Wade Miley, and Nate Karns. None of them are blockbuster moves, but the combination of all of them make a major impact. The other big move was replacing manager Lloyd McClendon with former big leaguer and rookie manager Scott Servais. In fact, the only coach kept from the year before was Mariner legend Edgar Martinez as hitting coach. It was an overhaul rarely seen in baseball. Robinson Cano had one of his worst seasons as a pro in 2015. He started off the season injured but tried to play through it, which led to a terrible start. He ended the season much closer to what we have come to expect from Cano, but the overall totals were not that impressive. 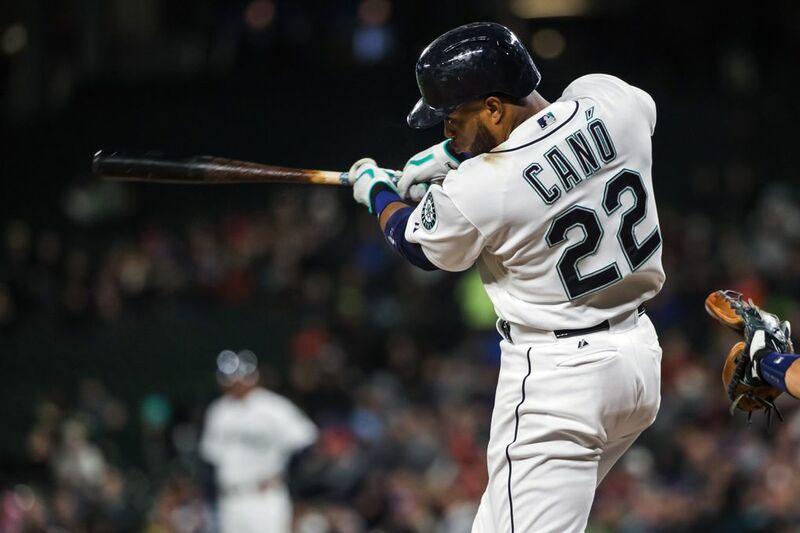 With Cano coming into the season healthy, he needs to get back to the production that made him one of the best players in baseball. If he doesn't, the Mariners are not going anywhere in the foreseeable future. It wasn't too long ago that Taijuan Walker was considered one of the best prospects in baseball. He has now had a couple seasons in the big leagues, but his production has yet to scratch his potential. He is only entering his age 23 season, but this is a big year for Walker. He needs to take a big step forward in becoming the superstar many think he can be. If he does find his groove, him and King Felix could be one of the more formidable top two in any rotation in the league. The Mariners had a huge wave of prospects come up in the last few seasons. Some worked out, some didn't, but it left behind a depleted farm system. Most of the Mariners' top prospects are still several years away. One rookie projected to make the Opening Day roster is a foreign import, something that has become a Mariner specialty. 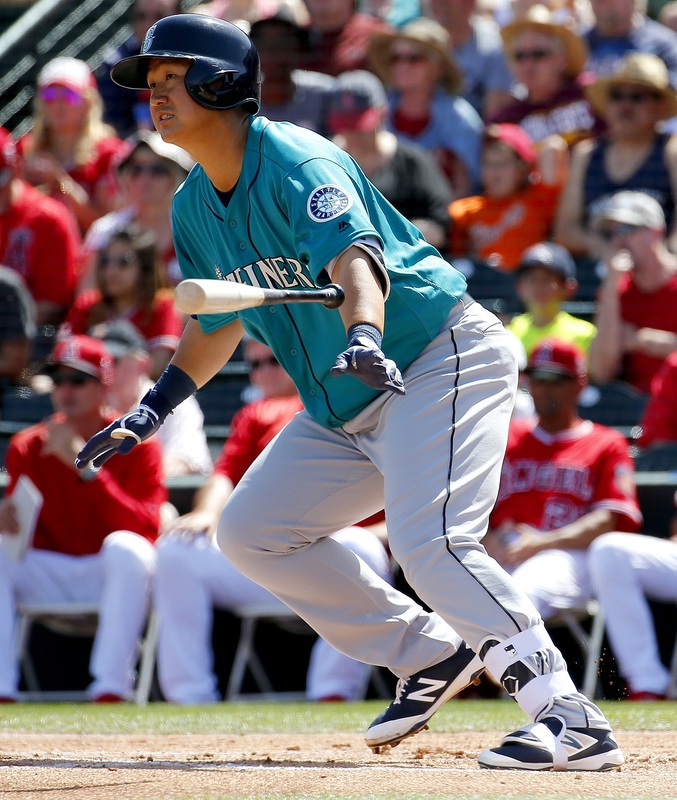 Dae-Ho Lee is a 33 year old first baseman from Korea the Mariners signed this offseason. He is a big dude, standing 6'4" and weighing in at 250 pounds. He hit 40 home runs last season in Japan, and the Mariners are hoping to see some of that power transfer over to America as he is slated to complete a first base platoon with Adam Lind. The Mariners had so many things go wrong last year to lead to their disappointing season. However, this team is completely unrecognizable from the team that played in September. Change is exciting, but also uncertain. They have to play better than they did last year. Look for some improvement, but a complete rebuild like this takes at least a year to really settle and show its full potential. Hisashi Iwakuma makes the All Star Team. Hisashi Iwakuma has quietly been one of the best pitchers in baseball over the last three or four seasons. In 2013, he made the All Star Team and was 3rd in Cy Young voting. A series of injuries marred the last two seasons though. He was almost signed by the Dodgers this offseason, but a questionable physical forced them to reconsider, leading to a return to Seattle. If he stays healthy, look for him to be back in the Mid-Summer Classic, completing what could potentially be one of the better top three starters in all of baseball (Felix Hernandez and Taijuan Walker). The Miami Marlins have a history of either being really good or really bad. In 2015, they reached a rare position: they were mediocre. Will 2016 be a step in one direction or another? I was high on the Marlins coming into the 2015 season, however the season quickly went south and turned bizarre when they fired their manager Mike Redmond in favor of their general manager who had never managed before on any level. I had them in second potentially battling for a Wild Card spot. Instead, they ended up with 90 losses. The only thing that kept them from going lower in the standings was how bad the Braves and Phillies were. The Marlins always seem to either go all in or sell everyone every offseason. This offseason looked a little different. They brought in a solid starter in Wei-Yin Chen and re-signed Dee Gordon. They really didn't do much more. They know they have something interesting building in Miami, and these few moves are small pieces that will help the team continue to develop. The biggest move they made was at manager. 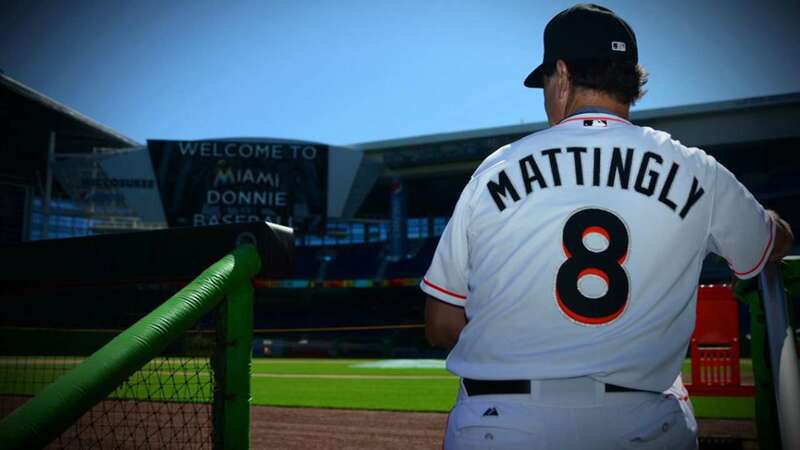 Don Mattingly is a vast improvement over the joke that was Dan Jennings last season. He will actually be able to lead this team where they need to go. 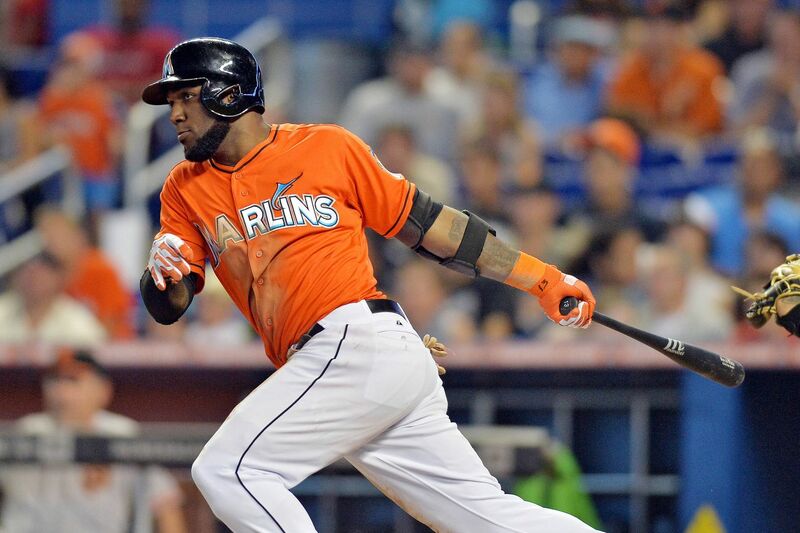 Many people say Marcell Ozuna is one of those special talents that can do it all. The problem is he has yet to put it all together on the field for the Marlins. 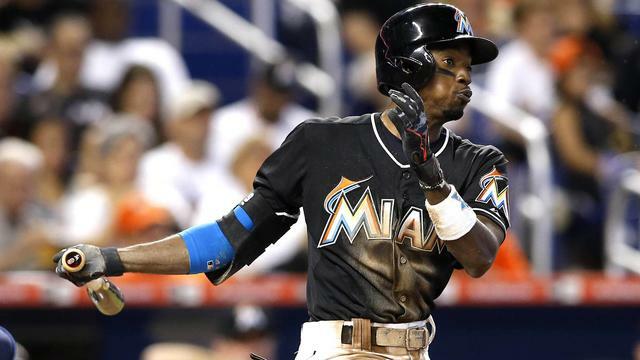 For the Marlins to start taking steps forward, a player like Ozuna has to have a breakout season and show what kind of player his talent projects him to be. In 2013, Jose Fernandez showed that he has the talent to be one of the best pitchers in baseball. Then, the dreaded Tommy John derailed his next two seasons. Now, he is entering 2016 at full strength and should ready to be the superstar again. This team is currently being built around two superstars: Fernandez and Giancarlo Stanton. For this to continue, Fernandez needs to get back to that elite status. One problem the Marlins have is they do not have a very good farm system. Their best prospects are still a few years away also. The best player in the system that has a chance to make an impact this season is Jarlin Garcia. He is a 23 year old left-handed pitcher that could get some starts this season for the big club. Depending on his success, he could figure more into the plans moving forward. The Marlins should be better than they were last season, however it shouldn't move them up the standings in the NL East at all. The NL East has two elite teams, two terrible teams, and the Marlins who are somewhere in the middle. In the next couple seasons, they might be contenders but not quite yet. 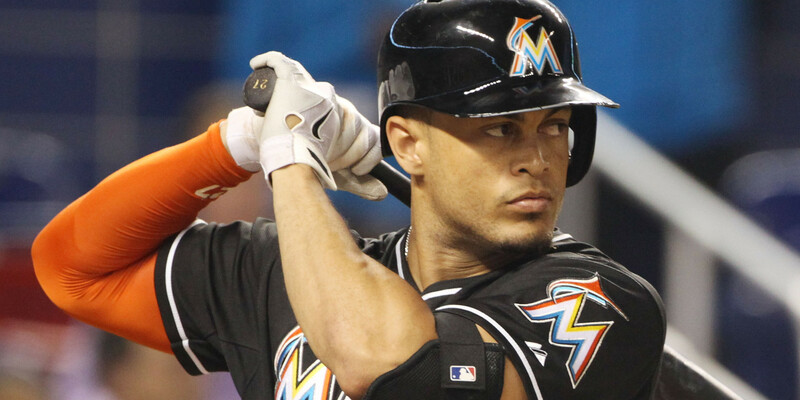 Giancarlo Stanton will play a full season and hit 55+ home runs. Giancarlo Stanton is a freak. His only problem so far has been injuries, many of them freak injuries. He hasn't played a full season since 2011. Last season, he hit 27 home runs in 74 games. That is just insane! He is due to catch some breaks in terms of the injury bug so he can truly show what kind of production he can have. He was halfway to 55 home runs in less than half the season in 2015. A full season in 2016 should bring ridiculous production. 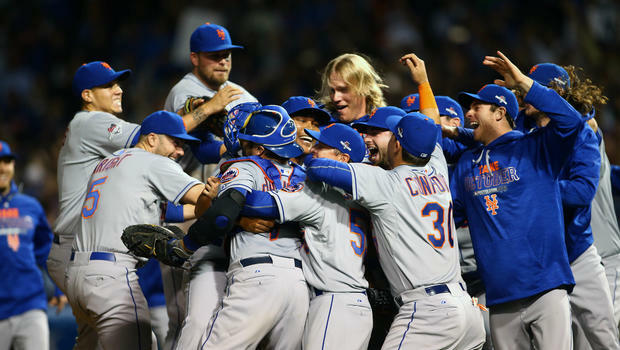 The New York Mets surprised a lot of people in 2015 by not only winning the NL East, but making all the way to the World Series. Will they be able to repeat that level of success in 2016? I was way off about the Mets last season. Everyone knew about their pitching, but the question was if they would be able to produce enough offense to win games. They hung around long enough to make a couple trades at the Trade Deadline that put them over the top down the stretch. Their 2015 run to the World Series felt very similar to the Royals' 2014 run to the World Series. The Royals ended up winning it all the next season. The Mets are hoping the pattern continues with them. The primary subtractions for the Mets end up not affecting them that much. The biggest name to leave was Daniel Murphy, however the trade for Neil Walker brings in a comparable replacement. They had to give up Jon Niese to get Walker, but their rotation hardly needed him anymore. Michael Cuddyer retired, however this simply cleared a space for phenom Michael Conforto to start every day. 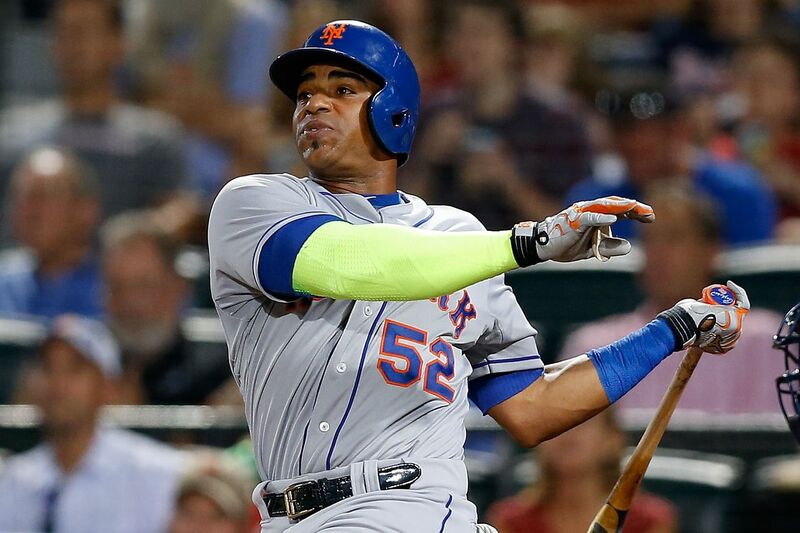 The biggest move made this offseason was re-signing Yoenis Cespedes, who gave them the boost they needed to get as far as they did last season. They also brought in veteran Asdrubal Cabrera to give boost at shortstop offensively. In his first first full season back from Tommy John surgery, Matt Harvey for the most part returned to his elite form from a few years prior. The dreaded "innings limit" came up and reared its ugly head at the end of the season, but it turned out to not distract from the playoff push. Now all the limits should be lifted. The Mets have the potential, by the end of the season, to have five aces in their rotation. The difference between this and the Nationals of 2015 is all of the Met's starters are 28 or younger. They are all in their prime and still getting better. Matt Harvey, although he wasn't the best of them last year, is the leader. He needs to keep up with deGrom and Syndergaard to keep that title and make this rotation as historic as it could be. This isn't really a huge revelation considering how well he played in the postseason last year. 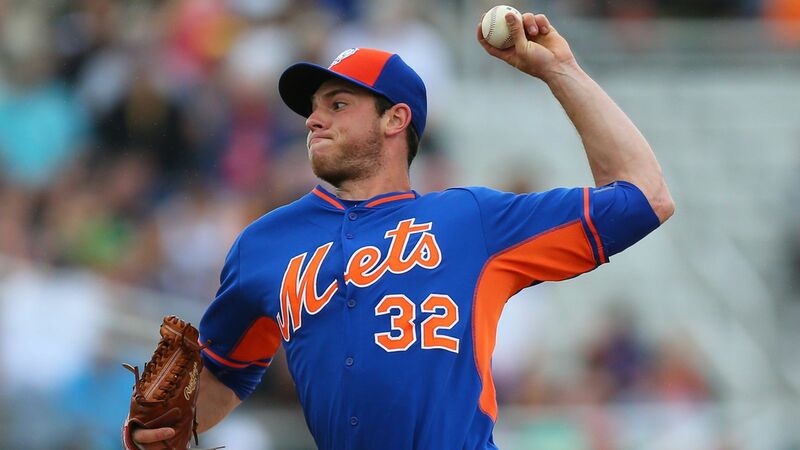 The bigger surprise might be the fact that through all he did last season, Steven Matz maintained his rookie status for 2016. He is expected to be the sole lefty in the Mets' rotation and contribute right away on day one. Once Zack Wheeler returns from Tommy John, this will be a rotation unmatched in the league. This pitching staff is for real. This is not just silly over-hype because they are a New York team. Harvey, deGrom, Matz, Syndergaard, and Wheeler would all be aces for any other team. The Mets have them all. It will be really hard for them lose behind this group. Also, the NL East is pretty terrible this season, featuring possibly the two worst teams in all of baseball. This will be a two team race for the division, and I see the Mets pulling it out. They won't get all the way back to where they did in 2015 (they still need to improve that offense a little more), but it will be a respectable follow-up to the surprise World Series appearance last season. One of the Mets' five aces will go down with Tommy John surgery in 2016. The arm of a pitcher, especially a young pitcher, is a fragile thing these days. It seems to be a requirement to miss a season with the dreaded Tommy John at some point. The Mets have already had two of their Big Five go through it in Harvey and Wheeler. It seems inevitable that it happens again. If I had to pick one, I would say it's Syndergaard's turn. However, this pitching staff is deep enough, they can withstand one of the group going down for awhile. They already have the ageless Bartolo Colon in the fold to fill in for Wheeler until he is ready to come back mid-season. He would just continue to pitch as he always has. It just doesn't seem logical to have five young arms like that all finish the season perfectly healthy though. The last few seasons, the Washington Nationals have been one of, if not the, most talented roster in baseball. However, they really don't have anything to show for it. Will 2016 finally be the year they break through? If the games were played on paper, the Nationals would have won the World Series in 2015. Best rotation in baseball, one of the best lineups in baseball. It was a no-brainer. I was a little leery of them, but my conservative prediction had them going out in the NLCS. It was inconceivable that a team this talented doesn't even make the playoffs. Well, they didn't even make the playoffs. This was even with a breakout freak season from 2015 MVP Bryce Harper. They seemed to make all the right moves, including some high-profile trades at the deadline. Nothing seemed to work. With as high as expectations were, 2015 was about as bad of a failure as you can get. Watching the Nationals over the offseason was interesting. The past few seasons has been all about adding more and more talent to create an All Star Team. This offseason seemed to be more about simplifying. The one high-profile signing was bringing in postseason hero Daniel Murphy from the Mets, however he is, more or less, replacing guys that left life Ian Desmond and Yunel Escobar. They also traded for Ben Revere, solving the drama in the bullpen by sending Drew Storen to Toronto. With that said, this seemed to be an offseason of downsizing and making room for young talent. They let Jordan Zimmermann and Doug Fister leave, as well as Desmond and Denard Span. They have a great farm system. It is about time they let it shine. The biggest move they made this offseason was at manager. They finally fired the overwhelmed Matt Williams (when will franchises learn that hiring a first-time manager to coach a high-profile team never works ... unless you are the Cardinals). 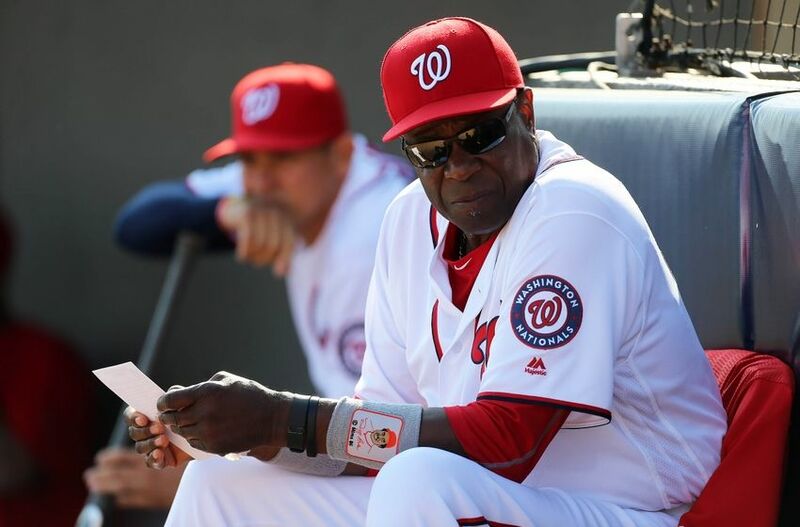 To replace Williams, they went in the exact opposite direction by hiring the definition of old school experience, Dusty Baker. In 2014, Anthony Rendon had a borderline MVP season, which led to a playoff appearance for the Nationals. In 2015, injuries held him to just 80 games as he never really was able to show much production. With the emergence of Bryce Harper, they Nats need a a guy like Rendon to get back to where he was in 2014 to make this lineup as deep and strong as it was in its playoff years. When Max Scherzer was brought in last season, the Nationals' pitching staff was billed as a staff of five (maybe even six) aces. 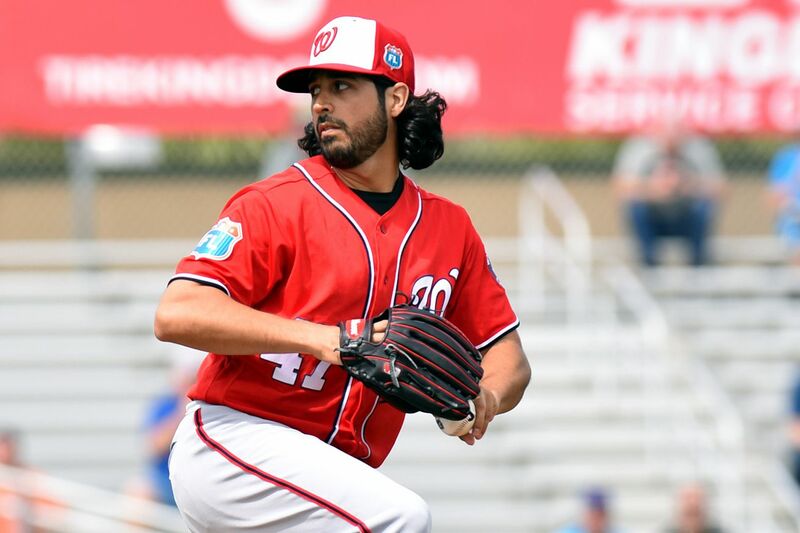 The forgotten member of that group seemed to be Gio Gonzalez, and there was good reason he was forgotten. He had an extremely average season in 2015, and has been fairly average ever since he finished 3rd in Cy Young voting in 2012. However, the Nationals have to count on him heavily as the only lefty in their top six or seven starting pitchers. He isn't that old. He needs to have much more productive season to bring the depth back to that rotation. To once again show just how foolish the Padres' spending was last season, let's evaluate a trade. The Padres acquired Wil Myers, some low-level prospects, and a veteran catcher in a three team trade with the Rays and Nationals. That Nationals gave up a couple prospects, including Steven Souza who started all season for the Rays. The key to this is what the Padres gave the Nationals. They sent pitcher Joe Ross (projected to be in the Nationals' starting rotation) and shortstop Trea Turner. Turner was a first round pick that didn't even last 6 months with the team that drafted him. Now, he is the shortstop of the future for one of the most talented teams in the league. Trea Turner is the reason the Nats didn't fight to keep Ian Desmond. Trea Turner should be a top contender for Rookie of the Year in 2016. Another prospect to watch that will no doubt have an impact in 2016 is starting pitcher Lucas Giolito. He is one of the top prospects in all of baseball, but will have to wait for someone to struggle or get hurt before he gets his chance. Turner has an opportunity to start on Opening Day. I love every move the Nationals have made this offseason. They are looking much stronger by simply letting their team grow instead of trying to buy a title. They are also in a weak division that really should only be a two team race. With that said, I think they will lose that two team race. They are definitely moving in the right direction again, and Dusty Baker will have them back in the playoffs very soon. This is quite a long shot, but hear me out. Stephen Strasburg is the final year of his rookie contract, and you can imagine he is looking for someone to pay him (Yankees, are you listening?). After the way he was treated with the whole "innings limit" thing, and the fact they already have one pitcher making $30 million per year in Max Scherzer, it can be assumed he will probably not be returning to the Nationals. Strasburg should be worth more to the Nationals than the compensatory draft pick they will receive when he declines the qualifying offer and signs elsewhere. If all this makes sense, the only logical course of action would be to trade him if they can bring in a haul of talent. Someone just might be desperate enough to do it too, if they need a top-flight starter. I could see this happen even if they are still in contention, if they get pieces that help them now as well as prospects. It would also clear a spot for Lucas Giolito to hop in the rotation and pitch meaningful innings down the stretch. I don't think this will actually happen, but it makes too much sense to not consider a possibility. For the past few years, the Baltimore Orioles have been stuck one step from the top. In 2014, the made it to the ALCS. In 2015, they missed the playoffs. What will happen in 2016? I got their spot right on last season. They entered the 2015 season without making any moves to move them forward, and they ended up stalling for the whole season while other teams passed them up. Everyone saw this coming. They needed to do something to improve their roster and didn't. That was the result because of it. It was going to be really interesting to see if they did anything different this offseason after a quiet offseason last year cost them a chance to do something special. They lost guys like Wei-Yin Chen, Steve Pearce, and Gerrardo Parra to free agency. 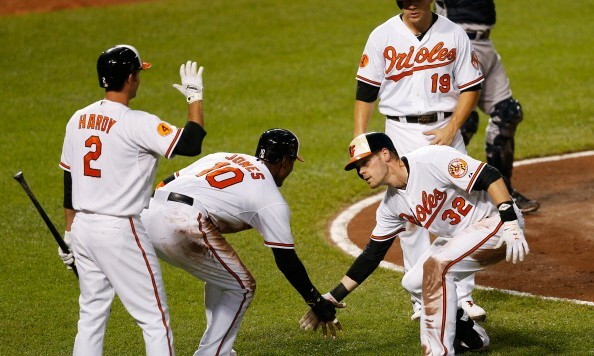 However, the biggest thing they did this offseason was re-sign first baseman Chris Davis. Then they did actually bring in some outside help this offseason also, trading for Mark Trumbo and signing Pedro Alvarez and Yovani Gallardo. They aren't blockbuster signings, but they definitely fit in what the O's are all about and will help the team out. The Orioles also were a part of the weirdest story of the offseason, signing Dexter Fowler only to have the whole thing fall apart and Fowler end up back with the Cubs. Matt Wieters, along with Colby Rasmus and Brett Anderson, made history this offseason by becoming the first players to ever take their qualifying offers instead of testing free agency (I think some others are wishing they had done the same ... Dexter Fowler and Ian Desmond to name a few). Matt Wieters needs a bounce back season. From 2011-2013, he made two All Star Teams, won two Gold Gloves, got some MVP votes, and hit 20+ home runs each season. Then he had Tommy John surgery and has yet to return to that form since. He only played in 75 games last season after playing almost double that in each season in that earlier stretch. Not only are the Orioles counting on a return to past glory, but by accepting the qualifying offer, it shows Matt Wieters is hoping for the same thing so he can get his big pay day next offseason. The one consistent member of the Orioles pitching staff over the past four or five seasons has been Chris Tillman. It shows just how much they believe in him to be the only cog that hasn't been a revolving door in that rotation. However, last season was pretty rough for Tillman. With Wei-Yin Chen moving on to Miami, Tillman is being counted on to be the ace, even with Yovani Gallardo in the fold. He has to pitch like he did in 2013 and 2014 for the Orioles to have success in 2016. 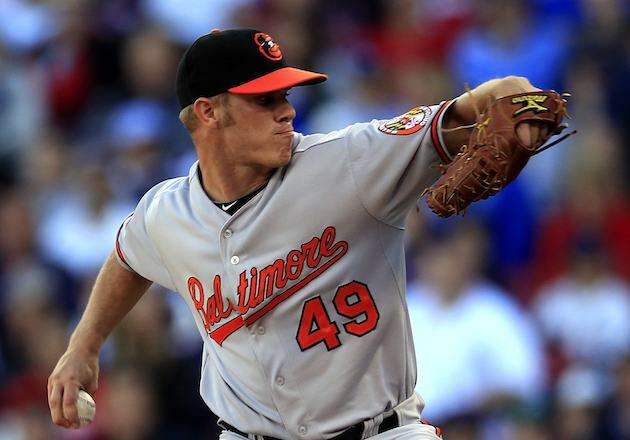 It feels like Dylan Bundy has been the player to watch for Baltimore for 5 years now. Well, that's because he has. After being taken in the 2011 draft 4th overall, he made his big league debut in 2012. Then, a series of injuries kept him from playing much since. Now, because of those two games he played in 2012 at the age of 19, he is now potentially facing waivers if he does not crack the Opening Day roster. His story is similar to Danny Hultzen, second overall pick by the Mariners in the same 2011 Draft. His arm issues have held him back in the same way. The only difference is Hultzen never made his debut so his service clock hasn't started yet. 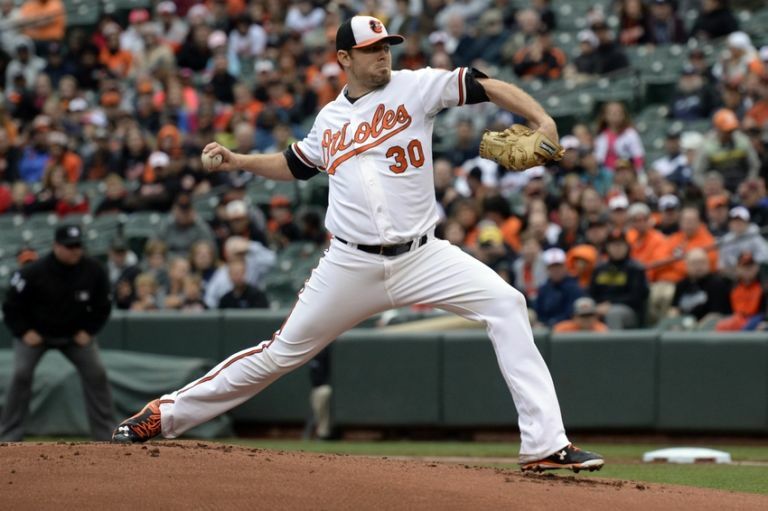 It will be very interesting to see if Bundy makes the Orioles' roster, most likely in the bullpen if he does. If he doesn't, there is a good chance he is not Oriole property when the season starts. Yes, the Orioles have made improvements to their roster, however if you really look at it, they really just replaced what they already had with comparable pieces. Trumbo replaces Parra, Alvarez replaces Pearce, and Gallardo replaces Chen. Those are comparable, if not inferior, replacements for every position (and Gallardo was a late addition). I see them in the exact same spot as last year. They are still good, but everyone else around them is getting better, and they will continue to fall down the standings of the AL East until they commit and make a splash. Manny Machado will be playing shortstop by the end of the season. 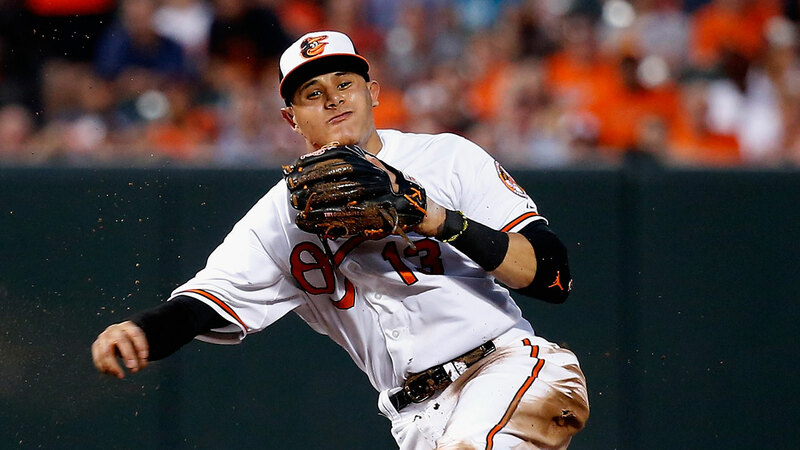 Manny Machado has become one of the best third basemen in the league. However, his natural position is shortstop. He came up as a third baseman because of how well J.J. Hardy had played at short. It has always been in the back of everyone's mind that eventually, Manny Machado would end up at shortstop, the onl question was when. Last year, J.J. Hardy had a terrible season as his age looked like it might have finally caught up with him a little. If he struggles at all this season, look for him to be traded to finally clear the path for Machado to shine at his natural position.